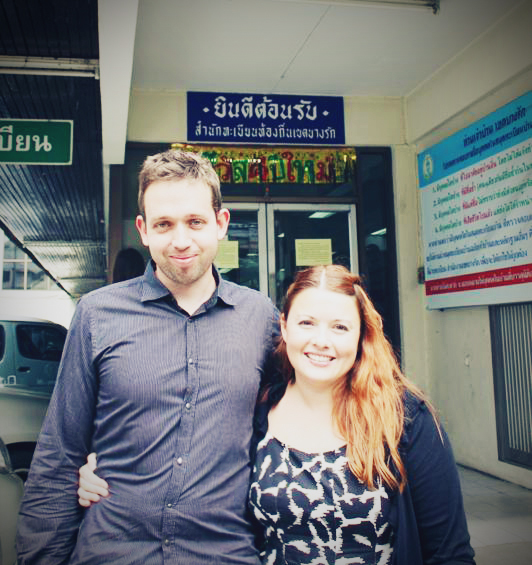 Us in front of Bang Rak District Office, Bangkok, Thailand. Photo by Piam. On Wednesday, we fly back to the UK after almost one full year of travel. The whole trip has gone by so quickly that the closest thing I can compare it to is how I felt about Christmas when I was a kid. After Halloween the trees and lights go up and there's so much build up that when the holiday comes it feels like it's going to last forever. But it doesn't. It's gone in a blink. It's gone so quickly that if you don't take regular time out to remind yourself that this is the thing you've been dreaming about and planning for, you might just miss it altogether. In the last eleven+ months we've been to: Phoenix, Tucson, Las Vegas, the Grand Canyon, Puerto Vallarta, Tepic, San Blas, Los Angeles, Vancouver, Ucluelet, Whistler, Calgary, Regina, Sydney, Melbourne, multiple stops along the Great Ocean Road, Tokyo, Osaka, Nara, Vientiane, Luang Prabang, Vang Vieng, Hanoi, Halong Bay, Hoi An, Palo Alto, Cha-am, Hua Hin, Chiang Mai and Bangkok. There are also probably dozens of other small stops we made - small old temple towns in Japan, mountain villages on the drive between Vancouver and Regina ... All these places, all of that distance and space and so much of it feels very much like gold dust slipping through my fingers. The questions I get asked the most are: which places did you like the most and which places did you dislike the most. The politics of "oh, every place had its charm" aside, I definitely have answers to these questions - firm, emotional answers. Travel books like to make us think that we should fall in love with the adventure of every place, and I'm sure some people are able to do that, but I am opinionated. I know what I like and what I don't like and while I can definitely say I learned something from every where we visited, there are places that resonated with me so deeply they felt like home and other places that I felt like we were just trying to endure. My favorite places were Laos and Japan. Laos because it was such a surprise. We landed in Vientiane expecting very little and ended up falling in love with our long, listless days of wandering the dusty streets, sharing the sidwalk with roosters (who loved to wake us up at 3 AM) and orange robed monks (who also liked to wake us up early with their chanting). It was beautiful and simple and so golden in my mind that I'm almost afraid that going back would ruin the memory. 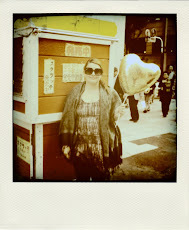 I loved Japan for not letting me down. I had very high expectation of Japan, had been dreaming about it for years, and although it wasn't exactly as I'd imagined, it was better: the people were nicer, the cities more gleaming and surreal and the landscape more perfect. My least favorite places were Vietnam and Mexico. Unlike with Laos, where I had no expectations, I landed in Hanoi with a whole set of ideas about what it would be like, mostly founded on my love of the Vietnamese food served up in a few restaurants in my hometown and an infatuation with a novel set there. Instead I found myself overwhelmed by cold temperatures, a heavy concrete grey and motorcycles - so many motorcycles that I felt like my head was perpetually buzzing. Culturally it was also a shock and the endless throngs of vendors selling all manner of tat were quite aggressive, often following us down the street, imploring us to "Buy something!". I'm quite certain that there's a lot more to Vietnam than I experienced, but I was quite pleased to fly out to sunny Palo Alto, with its clean air and pedestrian crossings. I actually quite like Mexico but for the six weeks we were there, I stupidly booked us into a bungalow without air conditioning (in June and July!) or proper bug proofing. As a result, the time we spent there was without a doubt the most physically uncomfortable I have ever been in my life. Bug bites and jelly fish stings coupled with the most intense heat that I've ever experienced. More than anything, I feel like we survived our time in Mexico. It feels like an accomplishment in the way it is for people to go off into the woods for a weekend with nothing other than a rope and a knife. I will never be featured on Survivorman . As we head back West to this place we both considered home at one time, it's a strange feeling. It doesn't feel so much like a homecoming but rather an opportunity to see people and get our affairs in order for the next big adventure. This year has taught me that I don't need a whole lot of material comforts to make me happy, I don't need a huge apartment or a big screen television and I don't need to own a stable of clothes. I think Dan and I are both ready to settle in somewhere for awhile, soak our feet and get comfortable watching the sun set from the same porch for more than a few weeks. The most surprising thing about that for me is that I don't mind too much where that porch is located. I used to think that I had to move somewhere else to be happy. I guess this trip has made me realize that happiness is not a place, it's something that we are all responsible for bringing with us. And home is not a single location, but something that you create on the journey.